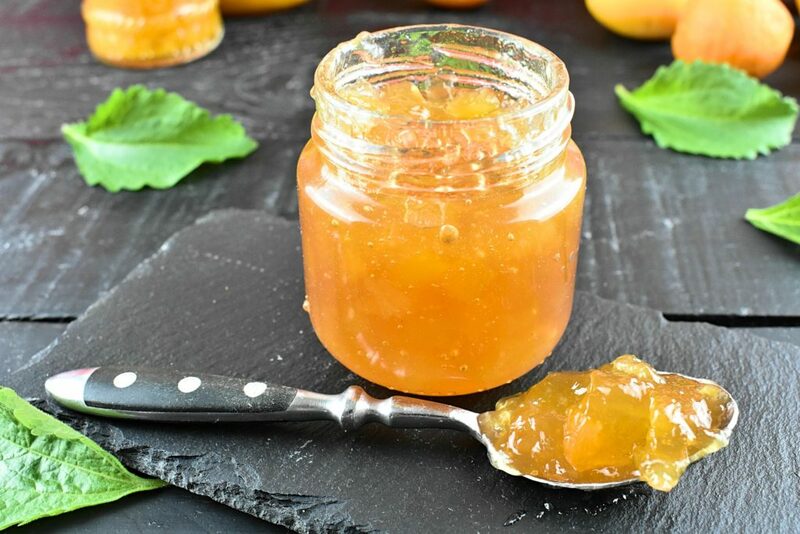 Ultimate low sugar apricot jam recipe could come handy in summertime when we accidentally bump into boxes of ripe fruit that can’t be resisted. It could easily happen when we are walking in the farmers market. 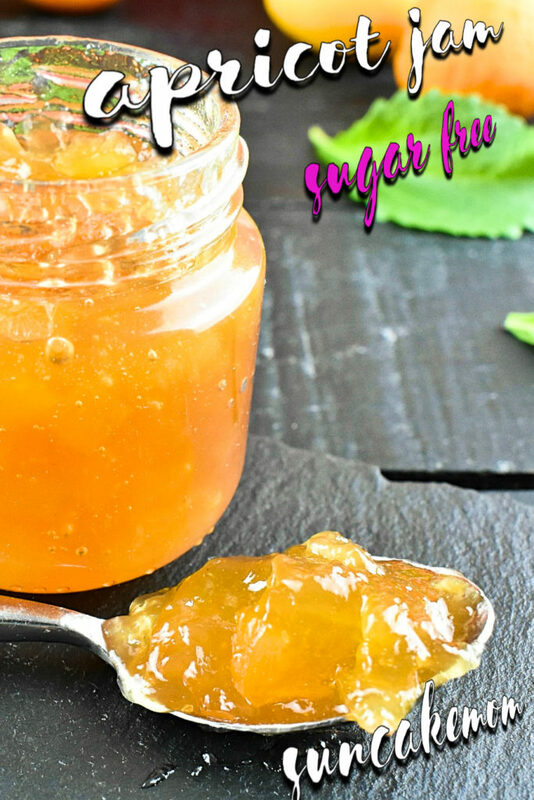 After the first successful attempt of making jams (like this sugar free strawberry jam) we will be so eager to make more that we can’t wait to have some ripe fruits like apricots in our hands. 4-5 medium size jars with matching lids. Jar grabber to pick up hot jars and lids. 1. Rinse apricots in cold water. 2. Peel and stone apricots. Drop them into boiling hot water and leave them there for about a minute. 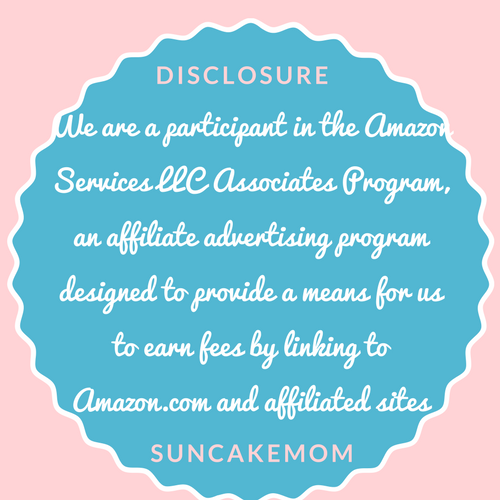 Take them out and the skin comes off almost immediately. 3. Put peeled, stoned, halves apricots into the big saucepan. Pour orange juice or water into the saucepan too. Bring it to boil in medium heat then add the honey. 4. 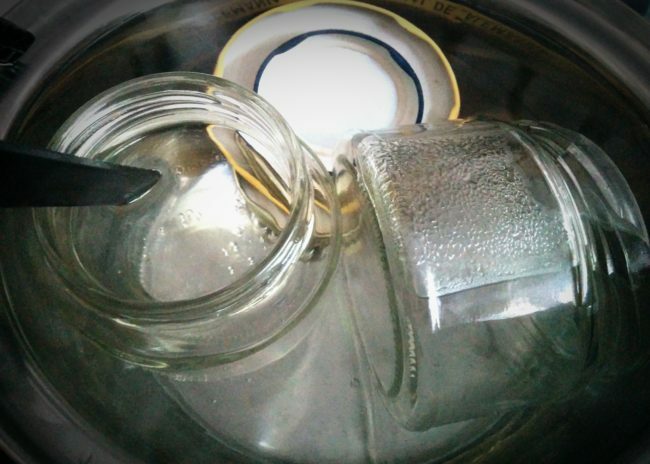 Whilst the jam is cooking, use the time to sterilize jars and lids. It is an important step if we don’t want the jams to go off before time. After washing and rinsing the jars and lids put them into a medium size saucepan of hot water. Bring the water to boil with the jars and lids in it. Keep them in for 15 minutes to sterilize. 5. Meanwhile don’t forget to stir the jam. After 15 minutes take jars and lids out of the water using jar grabber. 6. Dry jars and lids properly. Make sure there’s no water stays in them. 7. After about 40 minutes apricots should be soft and ready to put into jars. 8. Use a ladle to spoon jam into jars. When jar is almost full, screw lids on top and stand jars upside down for about 5 minutes. This should create a vacuum in the jar that ensures an oxygen free environment. 9. When jam is settled turn jars back straight up and start the heat processing. There are two heat processing method to can food. The first is to place the sealed bottles into hot water and boil them slowly until most of the harmful bacteria are killed. This takes about 10 minutes for a pint size jar at see level and 15 minutes over 2000 feet / 600m of altitude. Processing a half pint jar will take half the time. When the heat processing is done the jars can be taken out from the hot water and allowed to cool down slowly at room temperature. 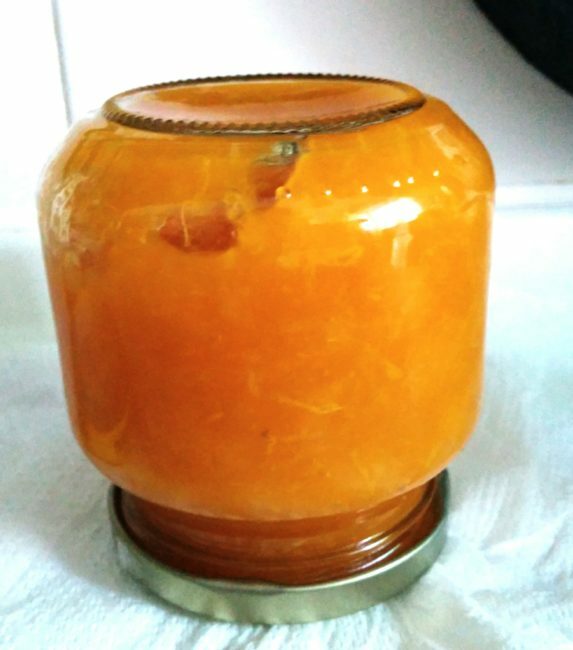 This method can be used canning any sort of fruits or vegetables like lecho. The other method uses the heat already present from the jam making process to kill the harmful bacteria may be present in our food. To keep them hot as long as possible the jars need to be wrapped into kitchen towels then tucked under thick blankets or duvets. The jars must be kept there until completely cooled down to room temperature which should take around 2 days. Canned goods should be kept at a relatively dark place between 50 – 70°F / 10 – 21°C. Check the jars after a day of finishing the canning process to make sure the jars are airtight. 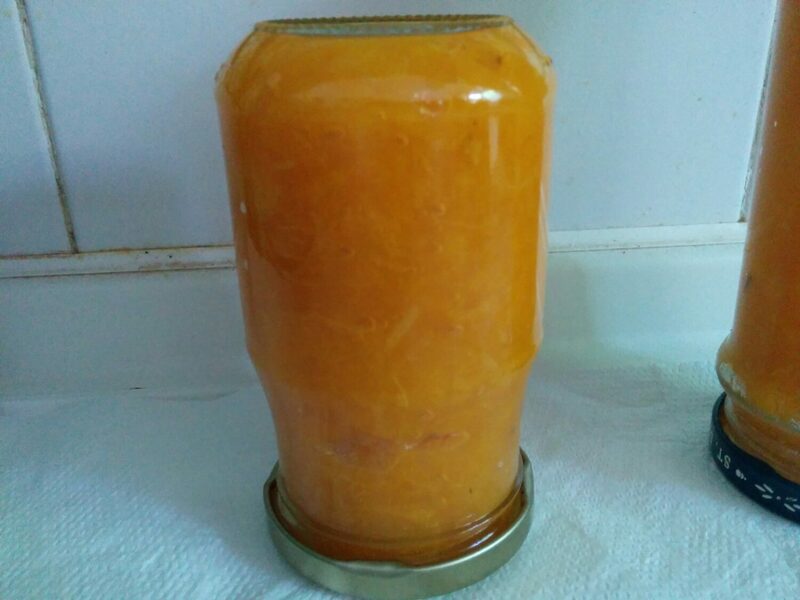 If a bad bottle is found use the jams quickly up or repeat the canning process with a different lid. 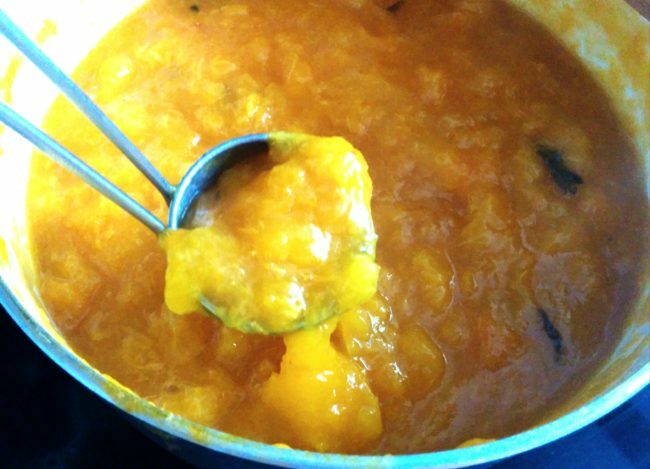 There are awesome desserts to be made with apricot jam among the: Sugar Free Desserts. 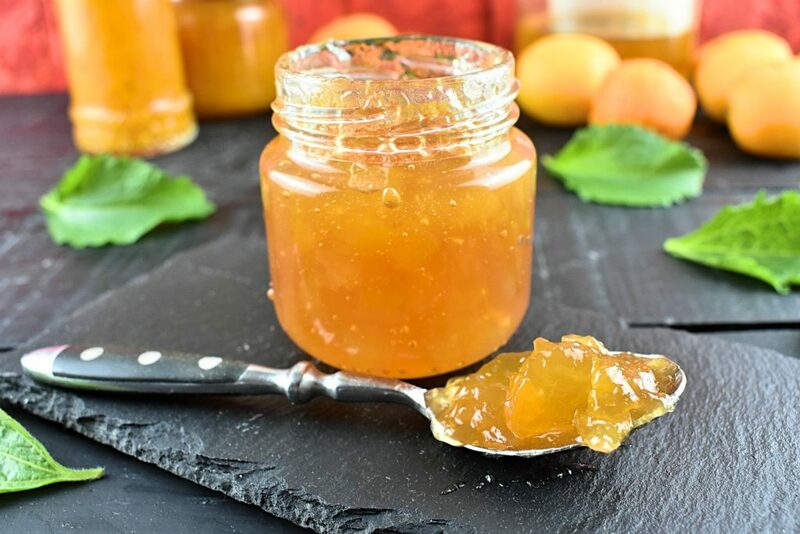 Natural simple to make apricot jam recipe without preservatives or colorings. It uses a tad bit of optional honey to increase it's shelf life. 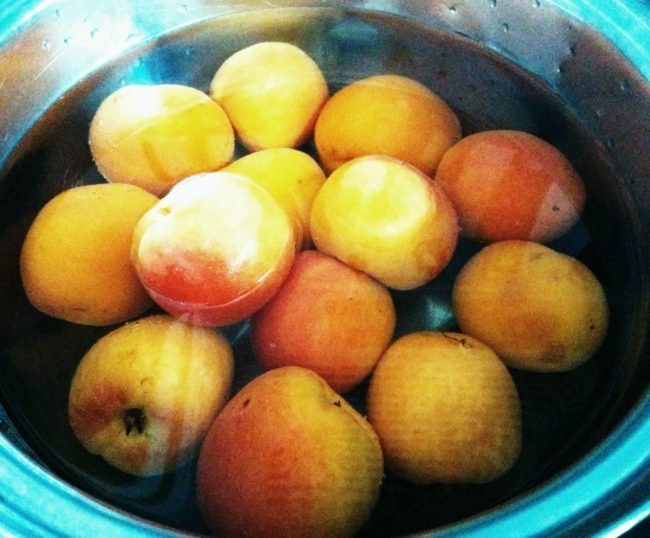 Rinse apricots in cold water. Peel and stone apricots. Drop them into boiling hot water and leave them there for about a minute. Take them out and the skin comes off almost immediately. Put peeled, stoned, halves apricots into the big saucepan. Pour orange juice or water into the saucepan too. Bring it to boil in medium heat then add the honey. 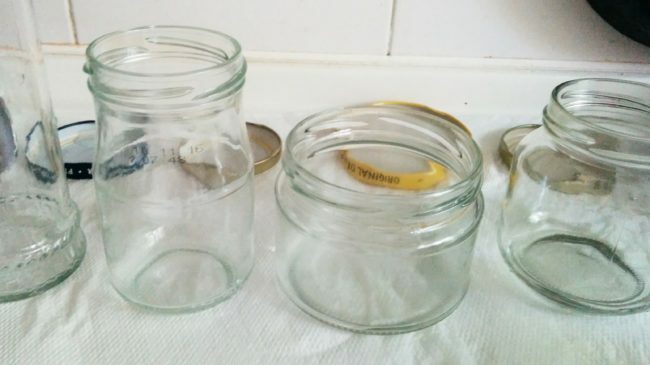 Whilst the jam is cooking, use the time to sterilize jars and lids. It is an important step if we don't want the jams to go off before time. After washing and rinsing the jars and lids put them into a medium size saucepan of hot water. 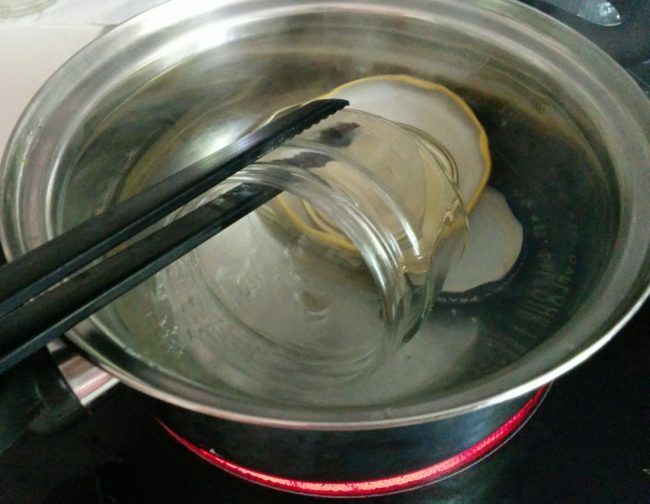 Bring the water to boil with the jars and lids in it. Keep them in for 15 minutes to sterilize. Meanwhile don't forget to stir the jam. After 15 minutes take jars and lids out of the water using jar grabber. Dry jars and lids properly. Make sure there's no water stays in them. 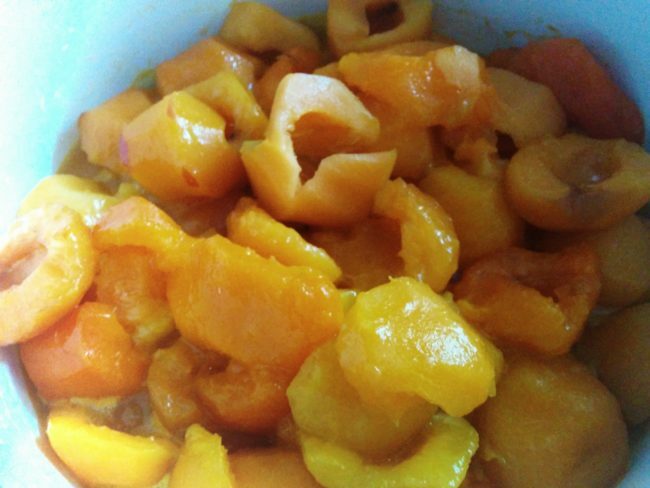 After about 40 minutes apricots should be soft and ready to put into jars. Use a ladle to spoon jam into jars. When jar is almost full, screw lids on top and stand jars upside down for about 5 minutes. When jam is settled turn jars back straight up and start the heat processing. It looks easier than I ever thought! How long can you keep them without stuffing it full of sugar? Not really long to be honest. In a couple of days it needs to be used up and kept in the fridge until then. It needs some high sugar content fruits like dates or figs to be expand its storage life longer. The key is to pick the ripe apricots that has higher sugar content otherwise it goes bad too fast.